Next Are The Cleveland Cavaliers Finally For Real? If the Knicks can't make the Triangle work. which is to blame - the system or the personnel? Driven by the overwhelming presence of Twitter, the hot take era presents a frustrating trend. Viewpoints are presented at only the most extreme of angles. Something is the very best or absolute worst, and rarely in between. Phil Jackson and the fabled Triangle Offense are not immune to this trend. Some point to the rings he and it have won, and ask no more questions. Others suffer from tall poppy syndrome and present Jackson’s New York Knicks’ current failings as complete and satisfactory evidence of the Triangle’s demise. 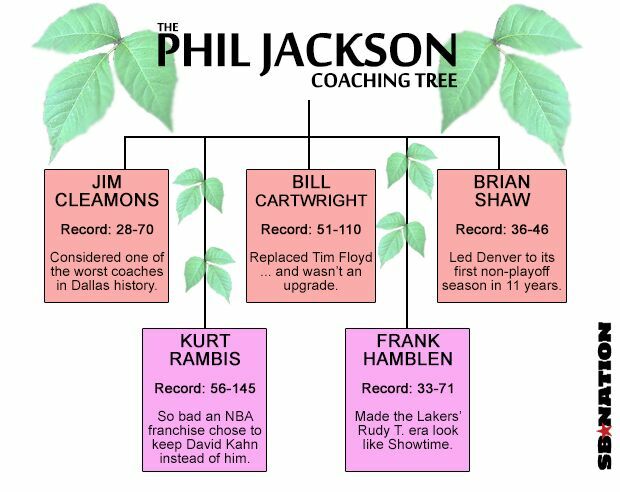 Naysayers laugh at the smouldering bushfire that is the Phil Jackson coaching tree. Ultimately, a more reasoned approach is necessary. Whether it is Jackson’s mystique or the Triangle’s status as the most recognizable, singular offensive structure used in the league, there is a constant stream of debate as to its present legitimacy. In this era of an ever-increasing focus on ‘efficiency’, the Triangle is under an intense re-evaluaiton whenever any team tries to employ it. Contemporary offensive trends have been generalized, and Moreyball is too often confused for an offensive system and the only way to play efficient basketball. However, Moreyball delineates an ideal shot profile that represents an outcome, rather than a specific system. There are many ways to scale the efficiency mountain. Jackson has consistently preached that the Triangle’s creation of harmonious ball and man movement is one of its great virtues. It is an ethos in which, if players are willing to adopt fundamental values of “discipline and order”, there will be success. Nevertheless, these broad, often morally founded ideals seem to be common factors in most if not all great offenses. So why is the Triangle special? The Knicks, for the most part, appear to be trying to adhere to the overarching principles Jackson regularly refers to. Only the Utah Jazz pass the ball more frequently than the Knicks, and they are also within the top 10 in assist opportunities per game, per SportVU. Even with this persistent movement, though, New York has spent the season in locked in the offensive efficiency doldrums. They are one of the league’s bottom-five in offensive rating, and no team is scoring fewer points per touch. There are a variety of issues at play as to why this is the case. One is the miserable state of a beleaguered roster that lacks the talent to be successful regardless of the chosen system. The other is the execution of the system itself. Those ideas are not mutually exclusive, and attempting to separate some of the talent effects from the system is difficult but necessary in order to reach any meaningful conclusion about the viability of the Triangle. The Knicks generate the most elbow touches per game in the league, and by some margin; nearly seven more than the next closest Memphis Grizzlies. Carmelo Anthony is the most regular recipient of these touches, possessing the ball 7.4 times per game at the elbow, per SportVU. For a large portion of his career, Anthony has preferred operating from these mid-post locations, where he can utilize his strength and quickness in attacking physically inferior defenders. Furthermore, he remains a wonderfully effective catch and shoot mid-range threat. With Anthony deployed at small forward, in traditional two-big lineups, non-threatening behemoths like Jason Smith and Quincy Acy are placed in a key perimeter decision making spot. After throwing the ball to the wing, Jose Calderon has filled the corner to form the Triangle with Amar’e Stoudemire and Acy. However, any attempt at a post entry to Stoudemire, triggering cuts from the corner and wing, is hindered due to the sagging defense created by the non-shooting threat of Acy. A skilled wing player has a larger window through which to make that entry pass than a big with no range. The read-and-react options are now restricted. Acy can go across the top to the trailing Hardaway, or directly to Anthony at the foul line, but not much else. Along with the desire to get Anthony the ball in his preferred spots, such restrictions form part of the explanation for the high number of Melo’s elbow touches. The consequence of these issues is an unacceptably inefficient shot profile. The Knicks are currently completing the anti-Moreyball double of taking more mid-range jumpers and less restricted area attempts than any team in the league, per NBA.com. Only the Charlotte Hornets and Minnesota Timberwolves take less corner threes per game. Some of this can be attributed to the nature of the spacing in the offense. Rarely have Knicks been consistently positioned on the weak side, either above the break or in the corner, for a period of time during which their defender may become preoccupied by help responsibilities. Even then, however, many of their player’s skill-sets don’t demand attention regardless. An inability to penetrate and draw help defenders is a further concern. While the Knicks have begun to incorporate more drag screen action into their transition offense, there remains a relatively infrequent utilization of screen-and-roll. Additionally, the Knicks have trouble driving the ball, averaging just 14.2 drives per game, easily the lowest of any team in the league, per SportVU. The combination of limited penetration with the dribble as well as the pass makes things quite tricky. In that sense, the Philadelphia 76ers present an interesting contrast. They play at a wild pace, and are allergic to the mid-range game. Their combination of movement principles from San Antonio and shot profile from Houston is considered cutting-edge. They are relentless off-the-bounce rim attackers; no team drives more frequently, per SportVU. Yet, for all that, the 76ers have the league’s worst offense (it borders upon historically bad) and are subject to far less vocal criticism of their system than the Knicks. This is illustrative of the importance of talent. Inefficient production outcomes are not totally definitive of the system. Severe roster-based limitations make clean observations about the validity of a scheme troublesome. Looking at the past success of teams using similar systems can therefore be useful. Philadelphia may cite the current Houston Rockets, while experimentations with the Triangle have a more checkered recent past. That’s not to suggest that the system has been completely abandoned league wide. The Triangle is employed intermittently by, amongst others, the aesthetically pleasing powerhouse in San Antonio, as well as Steve Kerr and his Golden State Warriors who have implemented aspects into their hybrid action that hint at Triangle principles. Both those teams have hummed along very nicely on the offensive end. The last Jackson coached team to implement the Triangle to any degree of success was the 2010-11 L.A. Lakers. That team featured a dominant individual scorer in Kobe Bryant who, like Anthony, operated regularly from mid-post areas. They too played lineups featuring two big men, in Pau Gasol and Andrew Bynum, yet were able to split this pairing with the multi-faceted Lamar Odom. Odom’s chameleon act of positional versatility enabled the Triangle to operate at a near optimal level. The Lakers registered an offensive rating of 107.9 for the season, a number that would be a top five mark today, per NBA.com. Lineups featuring the Odom and Gasol tandem scored 111.6 points per 100 possessions, and Kobe obviously played a large role too, offering diversity in breaking away from the stringent Triangle principles, especially when taking advantage of transition drag screens. Obviously, the 2010-11 Laker team featured vastly superior players to the tire fire New York currently possesses. They were superior on the offensive backboard and, like all Jackson contenders, stout defensively. Odom and Gasol functioned as heady passers who offered the sort of versatility and skill that maintained a rhythm and flow. Quality offenses can, at the very least, use the Triangle in short bursts. Successful teams who have used it exclusively possessed extraordinary talent levels, with specific, interchangeable pieces. The need for talent for a given system to be effective is not a new or terribly stimulating concept. It’s incredibly simple. Talent, as the league’s most important commodity, can ameliorate larger systematic issues. Nonetheless, it does raise the interlinked concepts of team building, talent acquisition and system choice. Other systems appear more malleable with relation to fit than the Triangle. The Calderon-Tyson Chandler trade is exemplary of this notion. It would be insensitive for him to do so, but Jackson has not publicly acknowledged a sense of regret regarding the move. Despite his prowess as a rim-runner and defensive mainstay, Jackson simply did not feel Tyson Chandler had the appropriate skills to function in the triangle going forward. Trading him for a clearly inferior player (and asset) on the basis of fit for the system is a troublesome strategy, particularly when the decision making process seems to ignore the defensive side of the game. In doing so, Jackson is essentially acknowledging the specificity of the players required for ultimate success in the triangle. Fit is universally important, but that very notion seems more burdensome than some alternative schemes. By implementing a system that requires such particular pieces, there is an inherent restriction on the available talent pool. Further restricting a finite talent pool makes team building troublesome. Recent evidence suggests Carmelo Anthony functions best in a contemporary, spread pick-and-roll offense. Failing to deploy him in this fashion in a Triangle system adds further to the necessity to find versatile big men with range shooting, in order to accommodate the desire for him to operate from the post. When a core piece is in place, having a system dictate the required talent is counterintuitive. The Portland Trail Blazers took an alternate path, assessing the core talent of their roster before deciding on a coach. Upon hiring Terry Stotts, they secured a coach who would implement an offensive structure that would optimize the talents of their foundational players. This, along with the unimagined scale of Damian Lillard’s immediate impact, enabled the Blazers to quickly re-tool and return to relevancy. The Spurs too, evolved their system, allowing the talent at their disposal to dictate the most sensible offensive structure. It’s difficult to see the same logic with Jackson’s approach in New York. System, talent and team building are all inextricably connected. If executed optimally, the Triangle is still a viable offense that could generate a desirable shot profile. In totality however, for these particular Knicks, there was probably a faster route back to relevancy.